App for Cornwall is an all encompassing FREE mobile phone app to keep visitors and residents informed of what Cornwall has to offer. App for Cornwall is being developed by Seymac Distribution. Seymac Distribution is Cornwall's number one distribution service for tourism literature, 2015 was our 25th year in business. 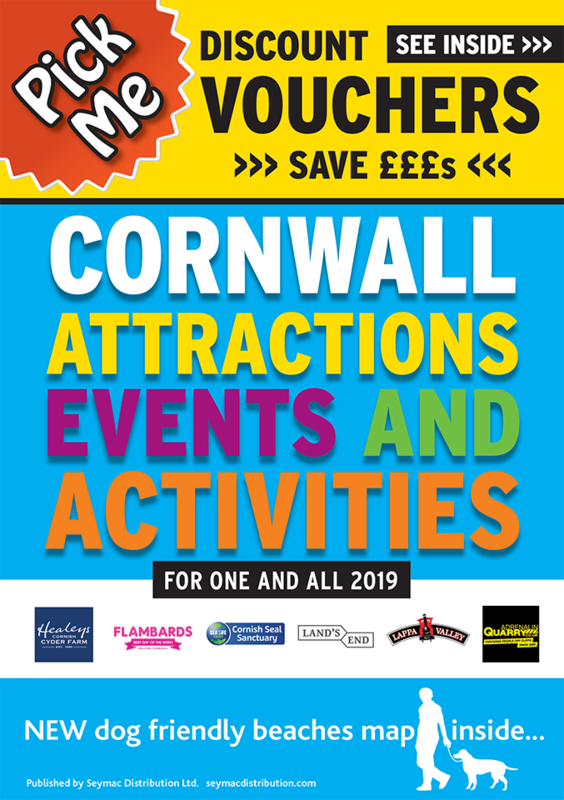 We deliver this literature to up to 5,000 businesses in Cornwall all year round. Here are the key areas in which we will be promoting the App and your business should you decide to buy one of our packages. We've had 109,438 downloads to date (31st Dec 2018), with 551,579 screen views resulting in a total of 7,265,734 unique events within the App .